You know what they say, a woman's hair is her crowning glory. Designer Kaylen Morrison adds some sparkle to your krowning glory with her line of headbands and headpieces: Krown. Drawing inspiration from music, art and fashion is how Kaylen keeps us coming back for more of her beautiful, handmade designs. Kaylen has a really cool background in fashion. After studding a pair of boots with 13,000 Swarovski crystals, one by one, Skullcandy Headphones hired her to customize a pair of Swarovski headphones for Kate Upton. This inspired Kaylen to start her business Krown in 2013. "The people in Dallas are so amazing, compassionate and genuine which in its own right is the best style." Krown’s couture quality makes them red carpet-worthy. Hollywood stars like Selena Gomez, Vanessa Hudgens, and Sarah Hyland are just a few who discovered Krown through Instagram. 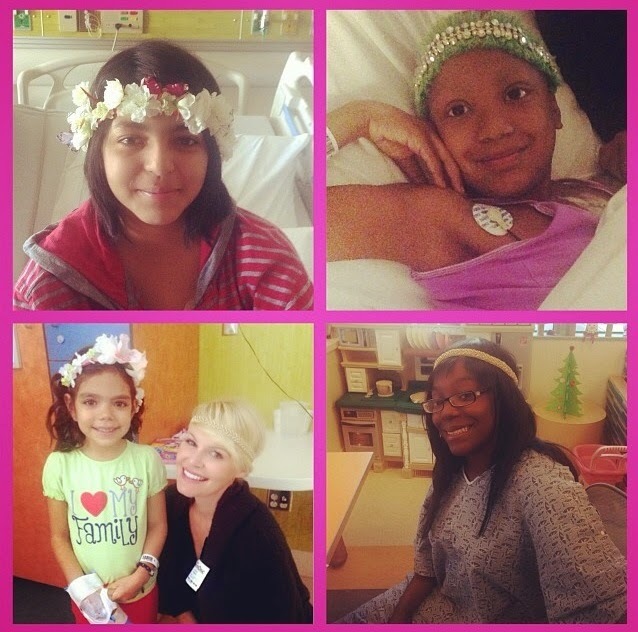 Kaylen also donates headpieces to girls suffering from cancer at a hospital in Long Beach through her Krowns for Kids charity. If you want to work in the fashion industry, Kaylen says that a passion for fashion will make all of the hard work and dedication all worthwhile. I love that! Her style icons are Kate Moss and Alexander McQueen. She describes her style as "bohemian Princess" which is actually the Krown vibe. Kaylen lived in Dallas for a year in college and it became one of her favorite cities. She now lives in California. There’s a Krown that suits everyone and for every occasion. Finally, someone is designing unique headbands! And a special thank you to Bri Crum for letting me borrow some beautiful Krown headpieces! See Krown designer Kaylen on a recent Good Morning Texas episode with Bri. PS - to make my hair look extra sleek and shiny against the humidity, I used the products from the new Ouidad Climate Control and OGX Kukui Oil collections. More tips on beating summertime frizz to come soon! These photos are amazing and the Krowns.. terrific..